Barcelona meets their water loo as Roma beats Barca 3-0 and climb their way to the semi-final of the UEFA game. Barcelona looked like the Semi-final’s favourite after defeating Roma in the first leg by netting four goals to one. 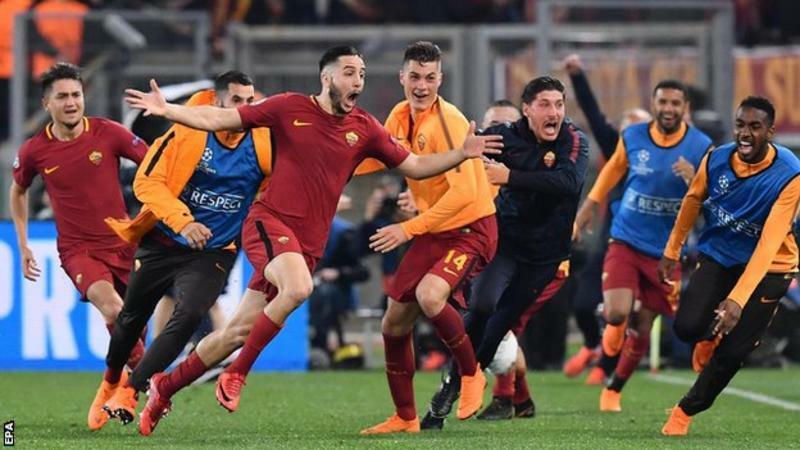 But Roma had luck on their side as Defender Kostas Manolas, scored the crucial goal that sealed the game in the remaining seven minutes. comment in the box below!!!!! !